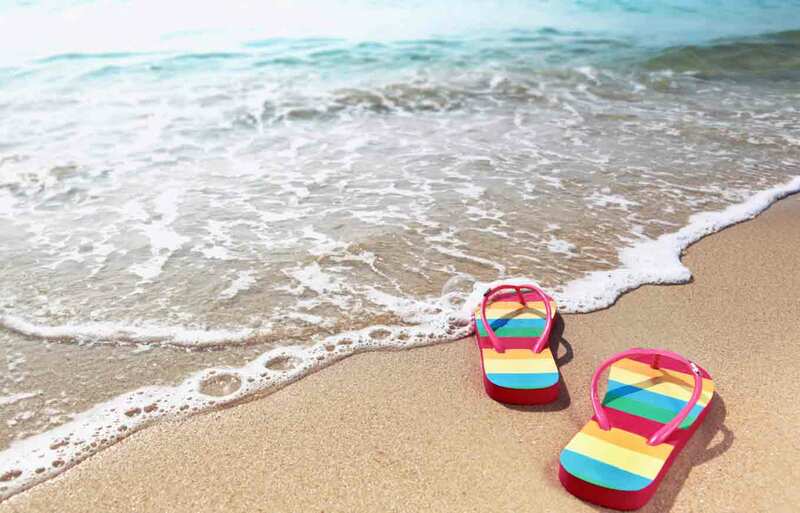 Summer vacations are supposed to be carefree and enjoyable, with your biggest challenge being the choice between flip-flops and sandals. But in reality, you need to do a little proactive planning to keep your finances safe. Credit never takes a holiday, and ignoring it on vacation could have long-term consequences. Here are seven tips to avoid wrecking your credit on your summer vacation. It’s okay to splurge a little bit on your summer vacation, but don’t go overboard. Set a budget before you go on vacation, give yourself a little wiggle room for a fancy dinner or souvenirs, and then commit to the spending limits you’ve established. If you plan on paying for your vacation with a credit card, only charge what you can afford to quickly pay off. That way, you’ll keep your balance low and avoid interest charges. Vacations are vulnerable to unforeseeable mishaps. You should plan for common contingencies that might befall you on your trip. If you’re renting a car, pay for rental insurance or use a credit card with complimentary coverage. Make sure you have some kind of health or hospitalization coverage at your destination. Preparing for contingencies will leave you less vulnerable to unexpected, unaffordable bills. When planning your trip, check what travel protections (if any) your credit card issuer provides. When on vacation, you should safely guard your finances and identity. Your wallet and personal documents could be vulnerable on the beach, in your hotel room, or even in your pocket, so keep a close eye on your personal belongings and don’t flash too much cash around. Your utilities and other financial commitments don’t take vacations, and a missed payment on your credit report can seriously damage your credit score. Make sure you’re up to date on all your bills before you leave. You might also want to pause or adjust any utilities you won’t be using while you’re away – for example, you can decrease your home’s energy usage and travel proof your cell phone. If you’re traveling abroad, springing for an international phone or turning off your data will help you avoid data roaming charges in the thousands of dollars. Dining out can be an enormous travel expense. If you’re worried about racking up a large credit card balance, try renting an affordable place with a kitchen. You can slash the cost of your trip by cooking some meals (or enjoying a bottle of wine at home rather than going to the bar). Plan your trip to reduce the number of fees paid to hotels, airports, parking lots, valet services, and more. These unnecessary fees can add up and break your travel budget. If you’re going out of the country, take a credit card with no foreign transaction fees. You should also try to avoid using your credit card to get cash, as you’ll pay dearly for the privilege. Once your trip is over, check your bank and credit card statements for any unauthorized charges. If you catch any, you should report them immediately to limit your liability and get them resolved. You can also visit AnnualCreditReport.com to check your credit report for any signs of identity theft. To check the impact your vacation had on your credit, you can get your credit score, updated every 14 days, for free at Credit.com. Vacations should be memorable, but only for the right reasons. Make sure your vacation remains a happy memory by keeping these tips in mind when planning for your next trip. Jeanne Kelly is a nationally recognized authority on credit, the founder of The Kelly Group and the author of The 90-Day Credit Challenge. She has appeared on The Today Show, and blogs for Huffington Post & Poughkeepsie Journal. Visit her online at www.JeanneKelly.net.